If you have any questions about the Oyster 100 Deck Saloon information page below please contact us. The sailing yacht Oyster 100 is designed with the specification, features and classification of very much larger yachts - and provides a sophisticated entry into superyacht ownership. By contrast, other 100-foot super yacht alternatives are simply longer versions of their 60 – 70 foot counterparts. They are built in the same way, are usually of a light displacement and structure, and can give a ride to match – lively with poor load carrying capabilities and little internal volume. Compare their displacement figures with the Oyster 100 superyacht, which offers up to 40% more internal volume, and judge for yourself. Comparing the worked materials used in construction of the Oyster 100 yacht, reveals a second revealing statistic. Worked materials are loosely defined as structural items that are in some way crafted by specialists such as the hull and deck, interior joinery, engine, generators, indeed anything that has to be crafted or built rather than just dead weight like the keel. Comparisons show the yacht Oyster 100 has between 38% and 134% more than other lighter displacement 100-footers. The sailing yacht Oyster 100 is a small ship by comparison! 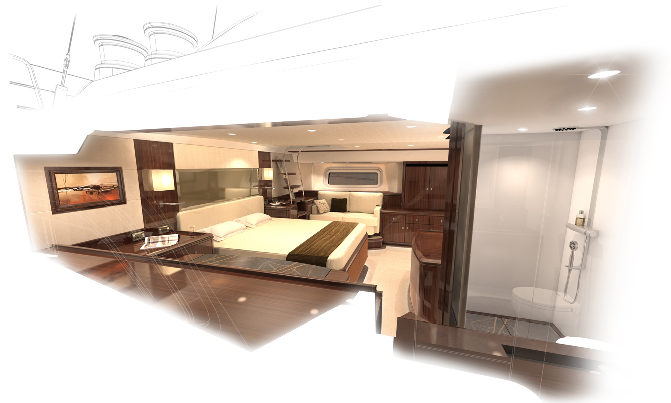 Oyster 100 Deck Saloon can accommodate a maximum of 6 guests in 3 cabins. We do have available further amenity, owner and price information for the 30.80m (101'0'') yacht Oyster 100 Deck Saloon, so please enquire for more information. 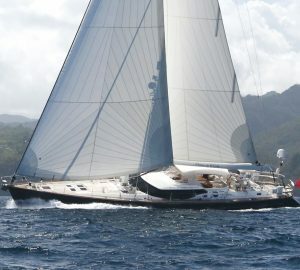 The luxury yacht Oyster 100 Deck Saloon displayed on this page is merely informational and she is not necessarily available for yacht charter or for sale, nor is she represented or marketed in anyway by CharterWorld. This web page and the superyacht information contained herein is not contractual. All yacht specifications and informations are displayed in good faith but CharterWorld does not warrant or assume any legal liability or responsibility for the current accuracy, completeness, validity, or usefulness of any superyacht information and/or images displayed. All boat information is subject to change without prior notice and may not be current.